Agency aligns mainland China and Hong Kong executive teams and creates new Greater China leadership council. 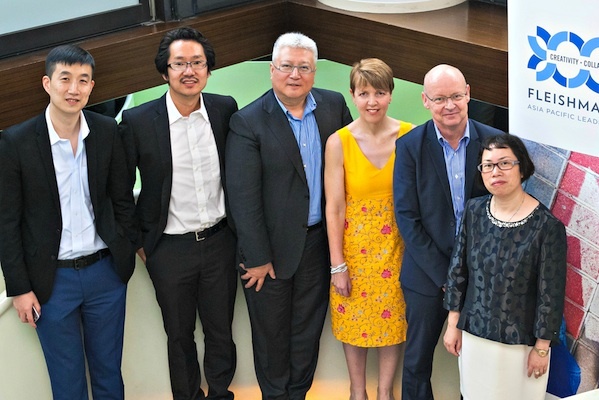 FleishmanHillard has announced a restructuring of its Hong Kong and mainland China leadership, formally combining them into a new Greater China structure. The new system sees Li Hong promoted to chairman of FleishmanHillard in China. Previously president and senior partner, Li will continue to lead and grow the agency’s China practice, as well as advising top clients and mentoring new talent. Rachel Catanach has also been promoted to president and senior partner, Greater China. Catanach has worked as managing director of Hong Kong since 2007, growing the office’s client portofolio and revenues throughout that time. Lynne Anne Davis, FleishmanHillard’s APAC president and senior partner, said: ""Rachel is supremely qualified to extend her phenomenal record of success in Hong Kong and lead collaboration across Greater China on behalf of clients, backed by a dynamite management team that she’ll quickly energise into a closely united force for accelerated growth." Beijing and Shanghai market leaders Jerry Zou and Miranda Cai, will work closely with Catanach and continue to report to Li. In addition, Catanach will chair a newly formed FH Greater China Leadership Council, which will seek to boost the agency’s capabilities in the region. As well as Li, Zou and Cai, the council will consist of Yu Li, responsible for talent development; Patrick Yu, handling financial services; and Judy Wei, leading the consumer products and services group. Other members of the council include Lichi ‘Rachel’ Hsueh, Geoff Bilbrough, Yisi Liu and Laura Tyson. Moreover, Fleishman will also implement a staff exchange programme across Greater China, offering rotations on a quarterly basis across its offices. Davis said: "Given the individual success of our mainland and Hong Kong operations, the scene is set to more formally unite our Greater China assets behind a single leadership team focused on optimising opportunities, fueling careers on a bigger playing field and bringing a larger set of resources to bear on client remits."